Featuring a pull-out tray for added table top space, this contemporary nightstand adds formal elegance to your bedside. 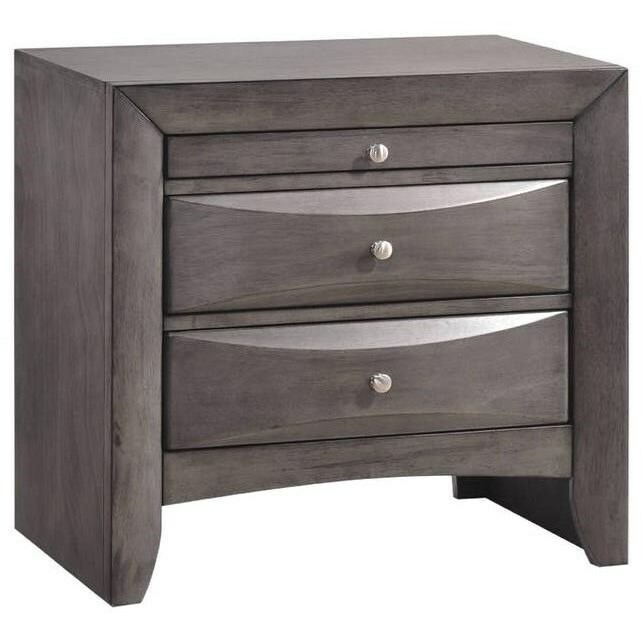 Highlighted by silver brushed metal knobs, the nightstand includes two French dovetail drawers with Kenlin metal glides. Completed with a lacquer finish and a bottom dust-proof case, this nightstand will meet all your bedside storage needs. 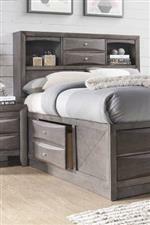 The Emily Night Stand with Pull-Out Tray by Elements International at Zak's Home in the Tri-Cities, Johnson City, Tennessee area. Product availability may vary. Contact us for the most current availability on this product. Storage Two French dovetail drawers with Kenlin metal glides. Pull-out tray.